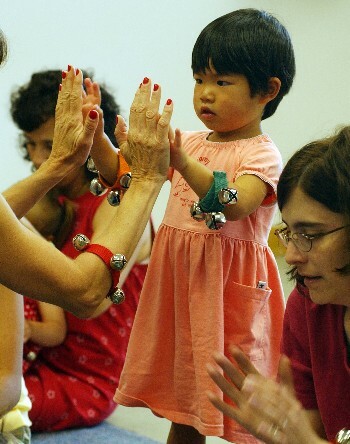 Music Together Generations is a mixed-age music class with the sweetest twist: the addition of elder participants! In senior residential and day programs across the country, people of all ages come together to sing, dance, shake shakers, and swing scarves. At Music Together in Phoenix, these interegenerational classes are held at The Terraces in Phoenix. As the children's music-learning is nurtured, families also foster new and important relationships with the senior participants, who we call "Musical Grandfriends." Seniors look forward to the children's lively visits and the chance to share memories and stories. The additional cognitive, physical and emotional benefits of both children and elders make the Generations class a heartwarming win-win for everyone. You'll value bringing this class into your child's foundational years. And if you haven't had many experiences with older adults, you'll love what this class does for you, too! You are welcome to join us for a free trial class at any time. Please RSVP online or call the office, 602-363-8202, and we can help you arrange your visit. 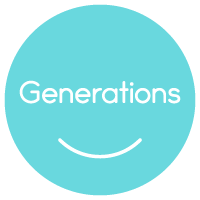 Music Together Generations Classes in Phoenix begin September 15th, and meet for 45 minutes once a week for 10 week at the Terraces.